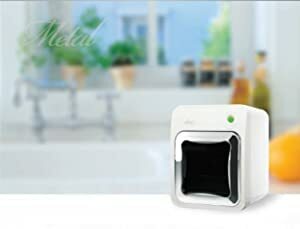 ● Durable body with built in Air Ventilation System: Aian is durable and has spacious room to place multiple items (1060 cubic inches), optimized for sterilizing & drying of baby bottles and other daily goods. 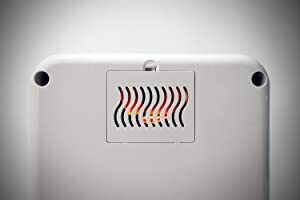 It has built in air ventilation to fresh the air inside the unit. Aian is durable and has spacious room, optimized for sterilizing & drying of baby bottles and other daily goods. Aian is durable and has spacious room, optimized for sterilizing & drying of baby bottles and other daily goods. It has built in air ventilation to fresh the air inside the unit. Aian comes with removable trays to organize baby bottles, and other products to put them inside the unit. The built-in patented hexagonal mirroring structure helps to quickly sterilize baby bottles. It takes only 20 minutes for sterilization and drying operation, only with a single touch. Air flows through the back of the unit, ensuring fresh air maintained inside the unit. Aian perfectly fits to your home space. Aian offers you with 4 different colors depending on your preferences. .